We cater your trip to you, offering more terrain and trip options than any other heli-ski operation in the world. Chances are you first discovered the sheer joy of arcing turns on a powder day at a local ski hill in your backyard. Well, our backyard's a little bigger, a lot steeper and more than a little breathtaking. It includes long, rolling, deep powder runs, tree skiing through old-growth forests, curtains, spines, couloirs, high alpine summit ramps and awe-inspiring views of Prince William Sound and the Turnagain Arm. Deep in the Chugach Mountains, we offer skiing and snowboarding adventures that redefine the limits of things like gondolas and chairlifts, altitude and speed. Our terrain includes the Northern Chugach Range and the Talkeetnas for a heli ski experience with high altitudes, even higher peaks, dry powder, endless runs and incredible scenery. This is what your GoPro was made for. 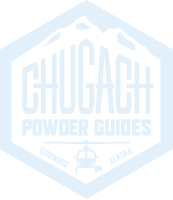 Chugach Powder Guides caters to strong intermediate, advanced, expert and professional skiers and riders who want three things: diverse terrain, clean lines and adventure on a grand scale. If it's your first heli ski trip, we recommend a few runs on a moderate glacier before progressing into steeper terrain and the unlimited possibilities that winter in Alaska offers. 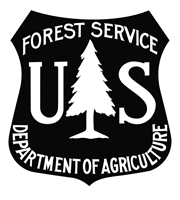 We pay close attention to the weather and snow conditions as our first priority is your safety. We tailor your trip to your skill level and work with you even before you arrive to come up with a suitable terrain plan. Once we're confident you're ready for the big guys, we'll progress into more challenging territory that is right for you. Any questions? Give us a call at (907) 783-Heli or shoot us a quick email at: reservations@cpgheli.com. With 750,000 acres of heli-ski terrain, 4 helicopters, 2 snowcats, and Alyeska Resort, our Girdwood trips offer the "best bet" for every-day powder skiing on the planet. Come with us and experience the mountain zones from the Tordrillos to the Talkeetnas, to the Northern and Western Chugach, to the Pacific Coast. We'll customize a tour for your group complete with accomodations, private helicopter, experienced guides and an itinerary for the ultimate adventure. The Remote Private Charter offers a full immersion in custom zones that you choose with your guides based on the weather and conditions. Let us show you the hidden gems of South Central Alaska.